Many English concepts and words have made their way into modern Indigenous languages, such as Kriol, of course. But the traffic has not been exclusively one-way: there are many words that have been borrowed into Australian English from Indigenous languages. The word ‘kangaroo’ is one of the first and most famous borrowings into English. This word comes from Guugu Yimidhirr, the language of the Cooktown region in northern Queensland. Kangaroo or kanguru was elicited from local Indigenous people in 1770 by James Cook when the ‘Endeavour’ was forced to stop in the region for repairs (Walsh 1993). The name is actually just that of the large black or grey kangaroo Macropus robustus but it was mistaken as a generic term for the whole species. For some reason, Governor Phillip thought this word had been recorded in Botany Bay and so members of the first fleet used this word in conversing with the local Indigenous people in the Sydney region. These Indigenous people were unfamiliar with this word and they thought it was English and so it spread. Some other well known examples of borrowings into English are bilby, billabong, boomerang, coolibah, dingo, kookaburra, koala, mulga, waratah, witchetty and yabby. Information on borrowings can be discovered in some dictionaries and reference books, such the Australian Pocket Oxford Dictionary or the Australian Concise Oxford Dictionary or Australian Aboriginal Words in English. However, because of the multitude of Indigenous languages the history of borrowings are not always known. 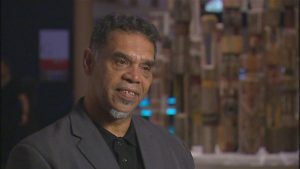 In the same way Aboriginal words, such as kangaroo and yabby, have been borrowed into English so have Indigenous placenames been borrowed into the introduced system of placenames. 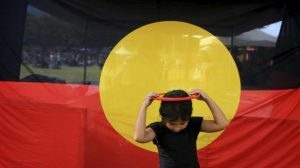 Parramatta, Woolloomooloo, Bondi, Coogee are all well-known Sydney examples of Indigenous placenames that have been taken into the introduced system.